The SSC has over the years produced some of the finest cricketers of Ceylon and later Sri Lanka including the World Cup winning Captain of the Sri Lanka Team in 1996. 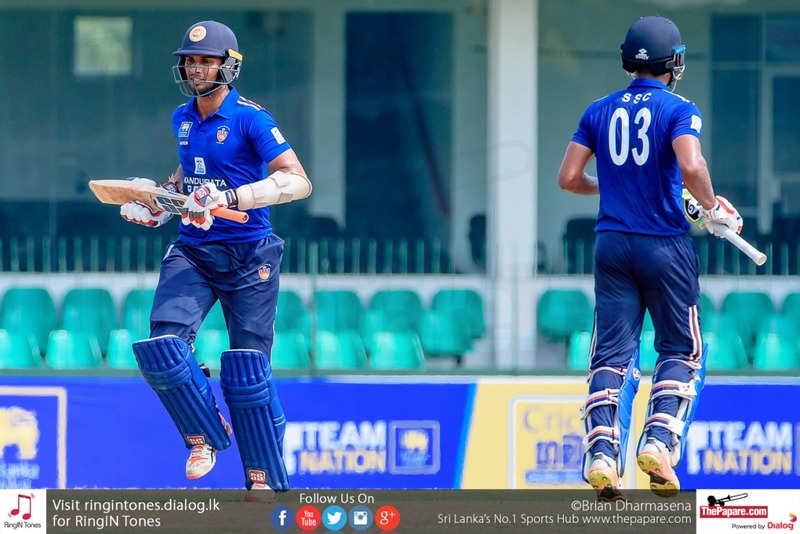 The SSC has dominated the local Premier League Cricket tournament winning the Premier League more times than any other cricket club in Sri Lanka. Since gaining test status, 4 to 5 cricketers from the SSC are regularly included in the National Squad for Test and other formats of International Cricket. Domestic cricket in Sri Lanka is played between clubs recognized by Sri Lanka Cricket as it is currently titled. First Class Cricket in Ceylon, as it was known before 1972, was initially restricted to matches played by combined Ceylon teams against touring international sides. England and Australia would often stopover in Colombo en route to their respective destinations and play a few matches. The first such match dates back to 1882, against the touring England side. 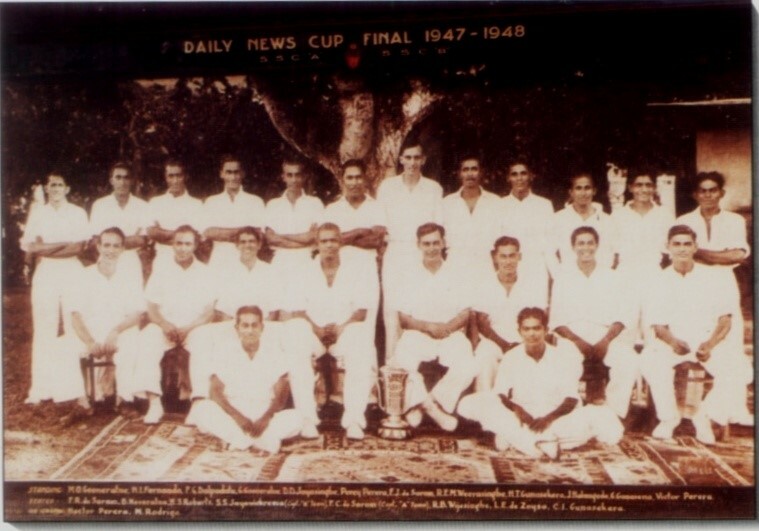 It was only in 1937 when a structured inter-club first-class tournament came into being, known as the Daily News Trophy. 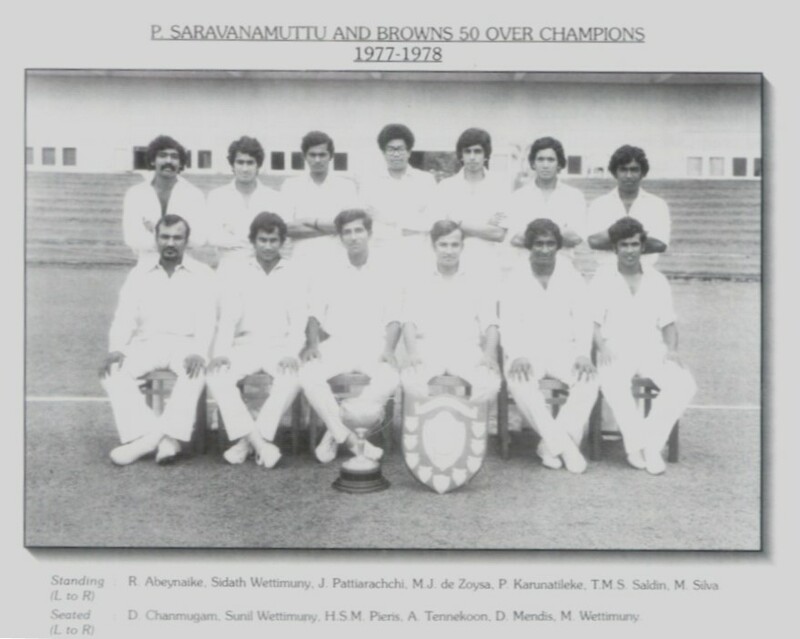 The title was changed to P. Saravanamuttu Trophy in 1950-51 and then the Robert Senanayake Trophy in 1976-77. Sponsors came into the picture in 1982-83 and it was renamed the Lakspay Trophy and was later renamed the Sara Trophy eight seasons later. The tournament changed its title again in 1998-99 to the Premier Trophy. The Singhalese Sports Club has won the tournament a record 29 times. In the period up to 1968-69 some of the “stars” such as F.C. de Saram and P.I. Peiris overlapped but into the picture also came Gamini Goonesena – Cambridge Blue and Nottinghamshire. He did the double in more than one county season. Stanley de Alwis to name but a few. Mahes Rodrigo, F.g. Dalpathado, H.S.M. Peiris, Lasantha Rodrigo, Neil Chanmugam. Here we see the emergence of the Wettimuny brothers, Sunil Mithra and Sidath. The latter of whom made a famous century at Lords. 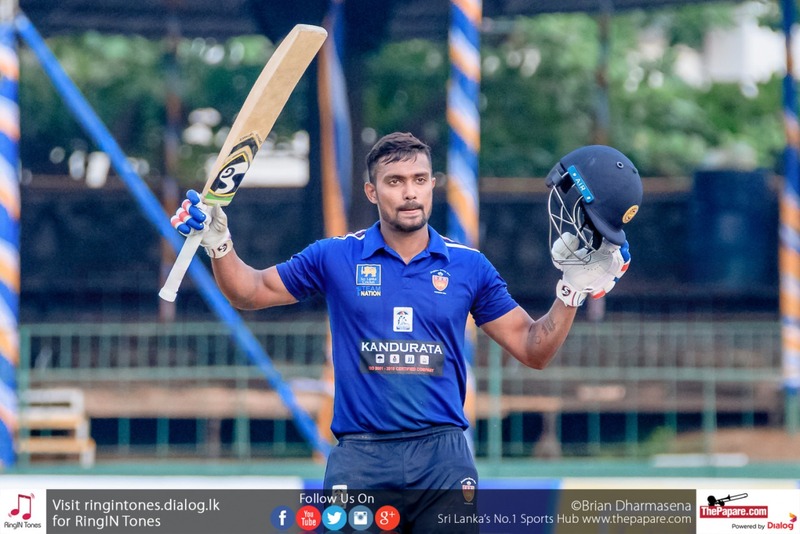 Anura Tennekoon who Captained Sri Lanka at the Inaugural World Cup, Duleep Mendis, Dennis Chanmugam, Russel Hamer to name but a few who played with distinction prior to Sri Lanka gaining Test Status. Test status was granted in 1982 and Duleep Mendis was the first Sri Lankan Test Captain from the Club although many who have been mentioned earlier have captained Ceylon as it was known prior to 1972 and thereafter Ceylon became the Republic of Sri Lanka. In 1982 we saw the first Test Match vs England where Arjuna Ranatunga made his debut as an 18 year old school boy. He went on to lead the country winning the World Cup in 1996 and after this period of time a galaxy of players emerged. 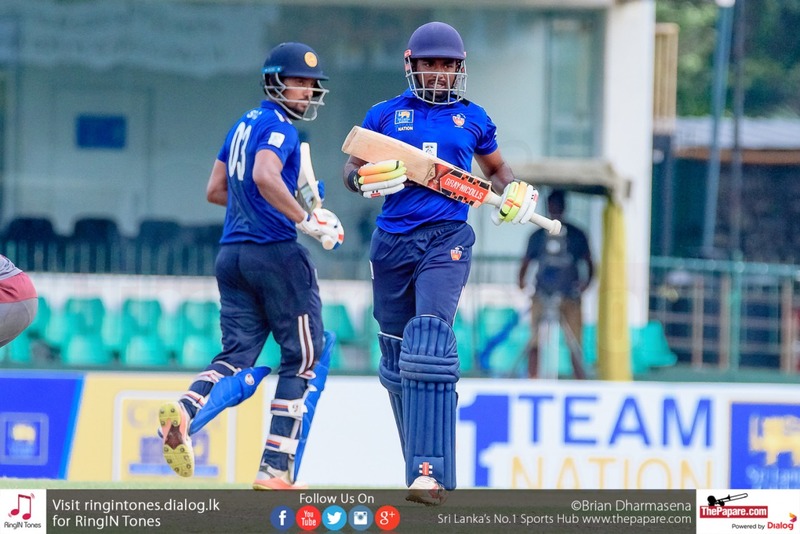 Roy Dias, Arjuna Ranatunga’s brothers Dammika and Nishantha, Ashantha De Mel, Mahinda Halangode, Guy de Alwis, Asanka Gurusinghe, Promodaya Wickremasinghe and into the current generation Marvan Attapattu, Avishka Gunawardena, Tilan Samaraweera, Sri Lanka’s current Captain Mahela Jayawardena, Dilhara Fernando, Nuwan Soyza, Kaushal Lokuarachchy, Dammika Prasad, Thilina Thushara and many other illustrious names. 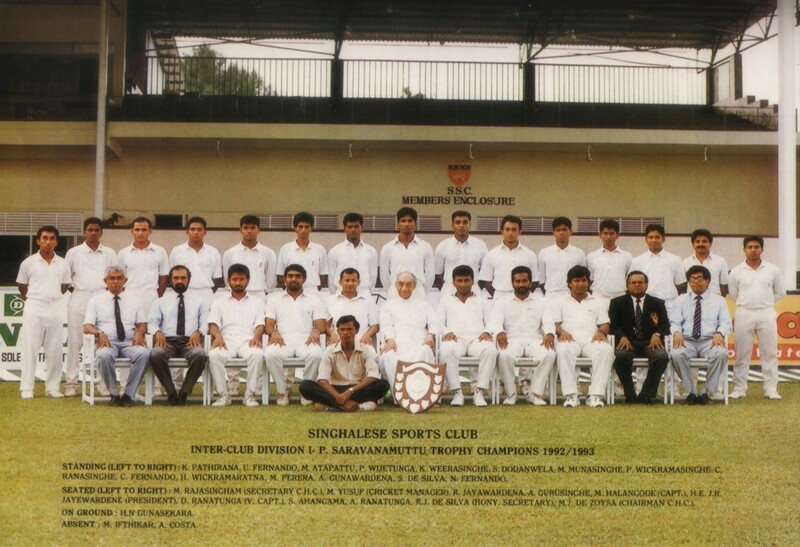 In the early 1980’s, Head Quarters for Sri Lanka was built in the premises of Singhalese Sports Club. They have their own Pavilion and have been the venue of many Sri Lanka Test wins. This is similar to MCC having their headquarters at Lords in London. One notable victory against South Africa saw an all-time record partnership 624 runs between Mahela Jayawardena and Kumar Sangakara 2 years ago. Arjuna Ranatunga (Captain -SSC) is a stockily-built left-handed batsman who led Sri Lanka to their greatest cricketing triumph, the 1996 World Cup. His innovative captaincy took a Sri Lanka team given little chance prior to the competition for cricket's greatest prize. He made his debut in Sri Lanka's inaugural Test at the age of 18, and made his country's first Test half-century. A dominant figure on cricket fields all over the world for nearly 20 years, he never shied from confrontation, defending his players and rights to the hilt. Asanka Gurusinghe (SSC) was a key member for 1996 Cricket World Cup winning team for Sri Lanka, who is a specialist batsman helped to win the 1996 World Cup final with 65 in a partnership of 125 for the 3rd Wicket. Captain Arjuna Ranatunge and Asanga Gurusinghe(SSC) after winning the 1996 Cricket World Cup. 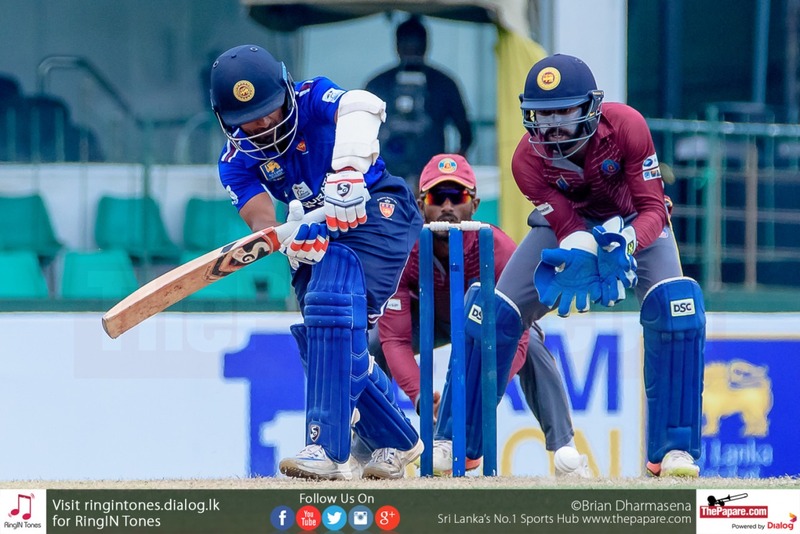 The all important final of the Sri Lanka Cricket (SLC) Major Limited Over Tournament concluded with the much fancied SSC unit clinching the title for 2018.